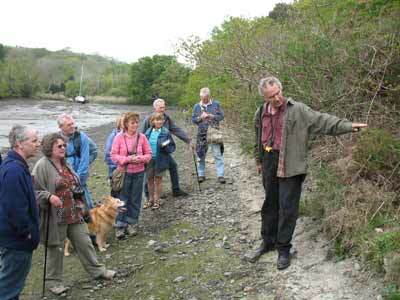 There’s lots to do in and around the Helford. 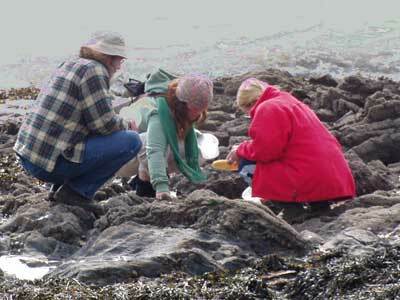 The Helford Marine Conservation Group (HMCG) organises a wide range of public events throughout the year which highlight the marine life and watery wonders of the Helford River. They include walks, talks and slide shows and activities suitable for both children and grown-ups. There are also lots of ways you can keep yourself and you family amused whether you are lucky enough to live here or are just visiting on holiday. Although there are limited fishing opportunities within the River, bait worms have been traditionally collected from some muddy sites for use elsewhere. Gathering on a small scale for personal use by local anglers is not likely to be of great concern. However, on occasions, extensive digging by commercial distributors has caused serious problems through physical damage and raised worries over the sustainability of the bait-worm populations so this is now discouraged as far as is legally possible. The Helford River has small cockle beds at Bar Beach, Treath and Gillan. 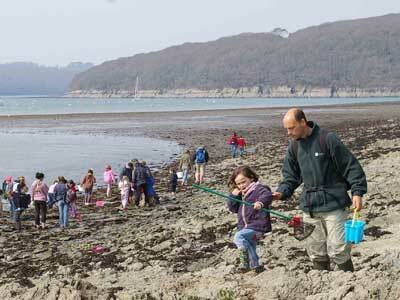 On Good Friday each year local families descend to the shores of the river to collect cockles and other shellfish. This tradition, dating from pre-christian times, is known as trigging. If the tide is favorably low and the weather good, a few hundred people can be seen taking part. The numbers involved and areas exploited are monitored each year and research into the cockle population has been instigated by the HMCG group. People are encouraged to leave any undersized cockles (smaller than a 20p piece) and only take as many as they need for their own consumption, whilst still enjoying their traditional family day on the shore. Many people and dogs take exercise walking along the shores and coastal paths through attractive flowery woodland that fringes the Helford River. A foot ferry operates between Helford Passage and Helford Point for much of the year except at low tide saving a 20 mile round trip by road! For Ferry timetable and information see www.helford-river-boats.co.uk. In sunny weather the more accessible sandy beaches at Helford Passage, Grebe, Treath, Prisk and St Anthony, Gillan are well-used by young and old alike. There are large numbers of licensed moorings within the Helford River and some available for visiting boats. Small craft can be hired locally at Helford Passage, Helford and St Anthony. The HMCG group have been instrumental in installing signed buoys warning boats not to anchor on the sensitive eelgrass beds off Grebe beach and Durgan. Gig rowing is a growing sport on the river as in the rest of the county. The sport began about 200 years ago when crews competed to reach incoming sailing ships first and win the pilotage. The Helford River Gig Club now has 3 boats, Helford, Golden Gear and Merthen, and are one of the top competitive crews on the racing circuit. 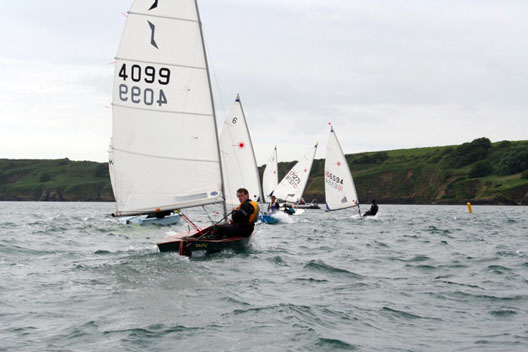 The Helford River Sailing Club is an active organisation with both senior and junior sections.